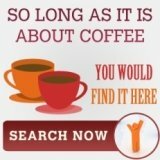 One of the best coffee machines that Keurig has created is the Keurig Elite B40 technology. This machine is likewise perfect for brewing your coffee in the morning or any time of the day. This coffee maker which is single cup is created to brew a coffee of around 7.5-9.5 ounce just for one minute. B40 coffee brewer uses k cups that has a wide variety. The k cups come in various flavors, blends, and roast. These varieties can offer you a lot of beverages to choose from. Keurig Elite B40 has a numerous handy features to offer. One of this is the descale indicator it has. This indicator will inform you when you need to descale the machine. 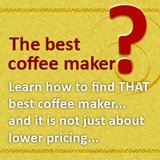 This is a free ebook that should give you a better understanding on the different espresso coffee drinks that one can order from a cafe. 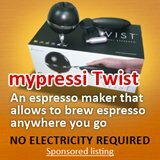 It would help you to make better coffee, or teach you how to operate a manual espresso machine, but with the additional knowledge, you should enjoy espresso that little bit more. Its auto shut-off turns off B40 if the machine is not in use for two hours. Further than that, it also has a removable 48 oz. water reservoir and a removable drip tray. These removable parts help you to fill it easily and make the cleaning easy. Moreover, Keurig Elite B40 is easy to use. All you have to do is to open the lid, drop in the k cup, close the lid and press the button. After a minute, the coffee will be flowing directly into your coffee cup or mug. There are three reasons why Elite B40 is a must-have machine for your kitchen. 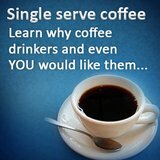 The first reason is that it offers you a fresh coffee. This is because this Keurig single cup coffee maker uses k cups which are known to have a fresh and rich flavor when brewed. Unlike drip or any other coffee makers need to rely on thermal carafe. The second reason is it offers you a hundreds of variety of drinks like tea, chocolates, coffee, etc. With this, you will have the option to choose from the huge number of flavored drinks in those little k cups. So, when you are running a business, most likely there would be something for your whole company. The third reason is that the k-cups used are with famous brands. Keurig joined venture with the most popular and well-known coffee makers to provide over 70 varieties of K-cups. You will be able to get a drink of Gloria Jeans, Timothy’s Diedrich, Green Coffee Mountain and etc. These are the things that Keurig Elite B40 has to offer. With this, you will surely have a great-tasting coffee you ever wanted. Having this machine is much better than stopping by the local coffee shop to get your coffee. With this, you will be able to save your money. This machine is economical and you can get high quality coffee on it.